I was recently sent Jack Hunter, The French Connection book for my daughter to read and review. However this isn't just any old book, oh no, it is the world's first interactive augmented reality book, bought to life with the use of the app which can accompany the book. The book itself takes you on adventures with Jack and his friends, you are taken back in time, entering ancient mysterious worlds, finding treasures and uncovering secrets. The story is good by itself, Elise said it had a bit of real life goings on within it as well as added suspense to keep you reading. However there is a twist to this book. 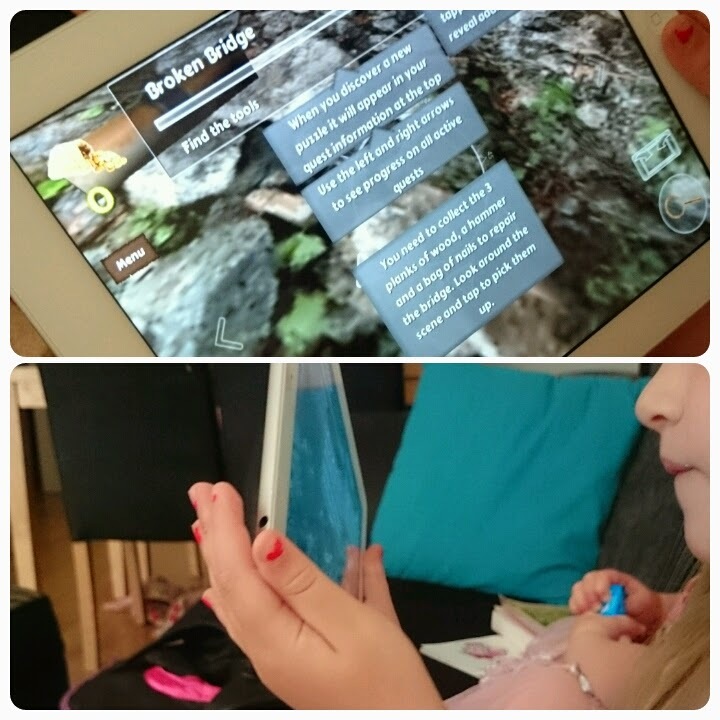 The clever thing is that when used in combination with a smartphone or tablet, it allows your child to join in the adventure. The app uses augmented reality technology to make the pictures come alive in 3D, putting you right in the middle of all the action!!! This is a brilliant concept, especially for kids that are more reluctant to read books, I think it is a creative idea that encourages them to keep reading the story. The game allows the person playing to find clues, unlock secrets, discover treasure and solve mysteries the same way as Jack Hunter would. The app itself is free to download on Google Play and iTunes. I first tried installing the app on my smartphone, unfortunately I couldn't get the app to work, it wouldn't scan the pages of the book, not sure why it didn't work. I then installed the app on our iPad and it worked instantly, it was fascinating watching the pictures come to life. The way the game works, you are following a compass, this gives you directions of places to go and seek things. You have to move the iPad around to find certain items, you can literally look round a full 360º. The graphics are so detailed from the items you find to the colours of the sky above. Every new level that you are play, there is a bar at the top which tells you how much of the level you have completed. Although not the easiest game, it really gets you thinking and my two eldest daughters actually worked together on certain levels, helping each other to find the solutions to the problems. 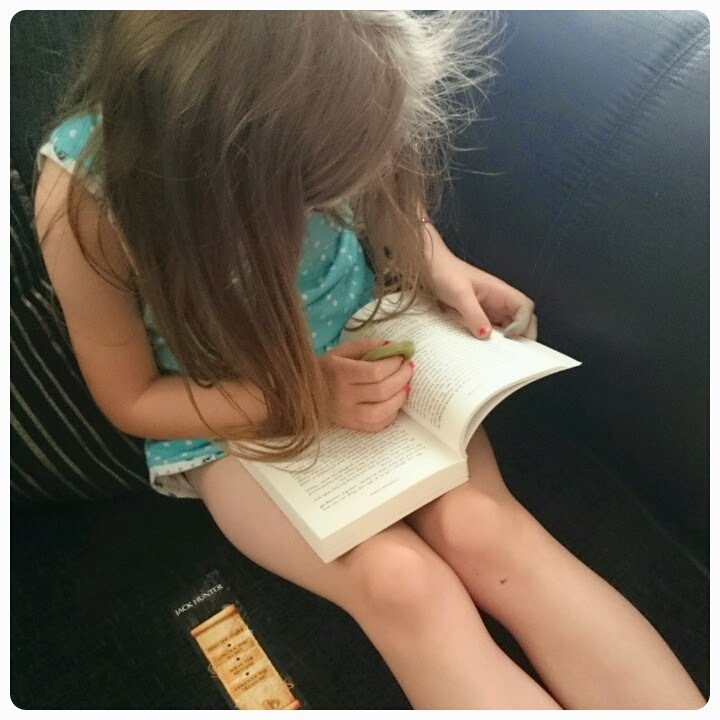 The app has meant that a book that Elise would normally finish in a matter of days has lasted her a few weeks. Technology has become some a big part of childrens lives these days that I think this would be a great concept to introduce in schools too, a great way to convince the younger generation to pick up those books and really get involved. The Jack Hunter books and app get a big thumbs up from us. The book itself is available in hardback and paperback versions, costing between £8.99/11.99 from amazon. Disclaimer : I was sent a copy of this book free of charge however all thoughts and opinions are my own. This sounds fantastic! What a great way to encourage kids to read!